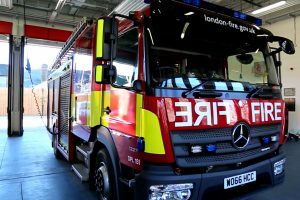 London Fire Brigade is rolling out a new model of fire appliance for the first time in a decade. 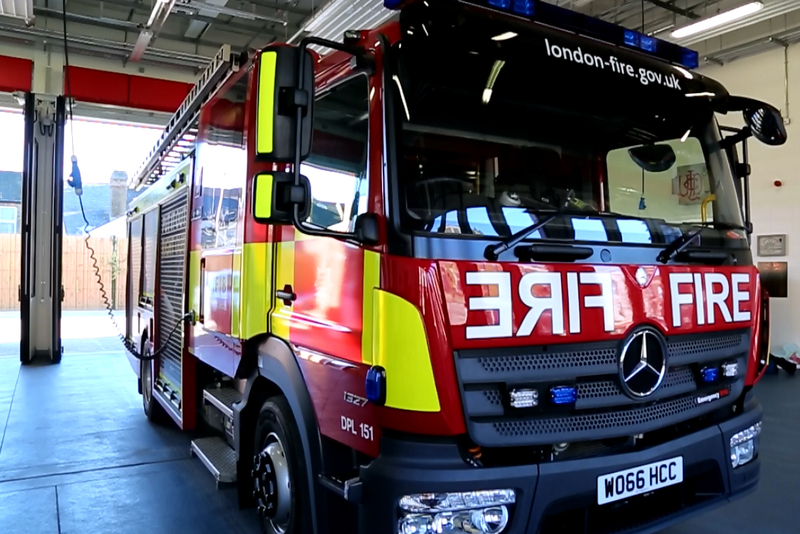 The new engine hits the streets this week with the first appliance responding to 999 calls based at Leytonstone Fire Station, with a new vehicle being rolled out to stations across London over the coming months. The new model specifications include: high-pressure hoses delivering twice as much water than the hoses on the previous model of fire appliance, which means that firefighter can tackle fires more effectively; electronically-controlled water pumps that can be operated with a single touch of a button; a different shaped ‘crew cab’, which will provide improved safety and comfort for firefighters; extra reflective markings which will improve visibility for other road users in low light; blue ‘repeater’ lights on the foremost front corners of the cab to make driving through heavy city traffic easier; and EURO VI engine, which further reduces emission levels compared to the previous model and complies with London’s forthcoming Ultra Low Emission Zone. Emergency One (UK) Limited was subcontracted to build the new vehicles by Babcock International Group PLC who are responsible, under a 21-year contract, for London Fire Brigade fleet maintenance and repair. Crews will undergo a period of familiarisation before they use the new vehicle to respond to incidents. The new appliance will also be used to do home fire safety visits, attend community safety events and travel to specialist training exercises. As a result fire crews could spend a couple of hours sat in the cab and with this in mind, the seating area in this more ergonomic crew cab has extra space and crew comfort. Bulky equipment – like the breathing apparatus sets, that would normally be stored behind their seats – is now being stowed in the back of the vehicle body.